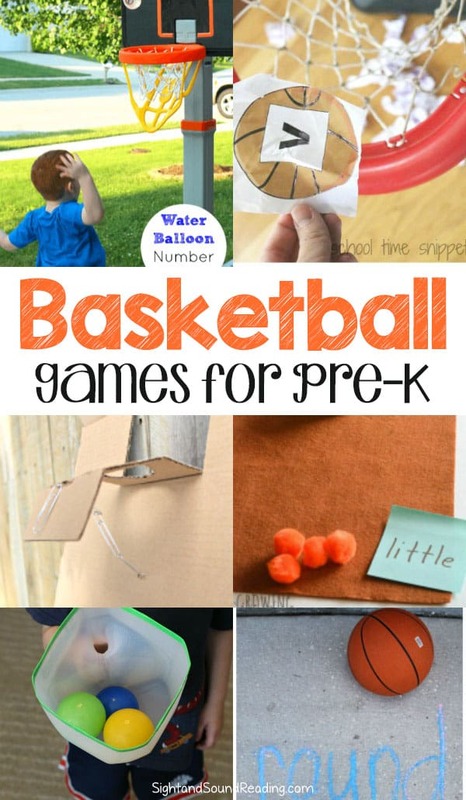 Are you ready for some fun basketball games for pre-K and K? I don’t know about you, but my kids love to run around and throw balls…even in the house. It drives me a little bit crazy some times (but, I am much happier with them being active than watching the TV or playing on a machine. My children love all kinds of ball games, especially basketball. Kids are very creative at making their own basketball games..with different size and shape balls, and different types of baskets. They play with their siblings, friends, or even relatives. The games sometimes can be a little messy, so afterwards we do the clean up game! A little mess is worth the happiness they experience after playing the games. 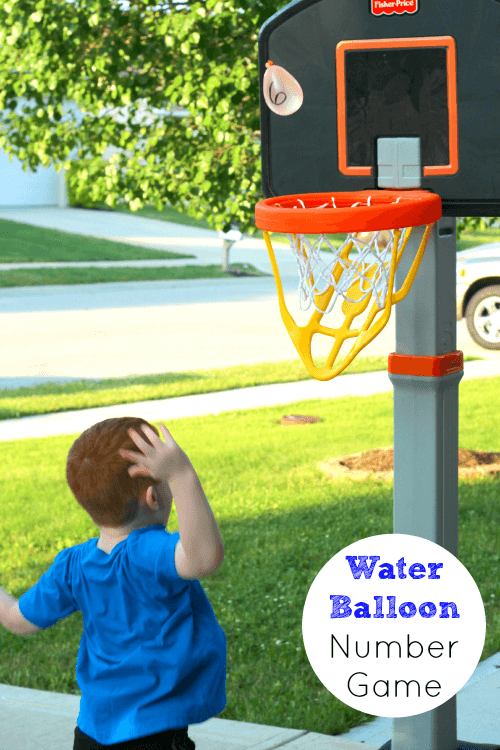 Today I would like to share some ideas of basketball games for pre-K and K to get children more excited. Get ready for being noisier and messier! Before we begin, I always linke to recommend books to go along with the activity. If you have a struggling or reluctant reader, it is good to get them books they like to read. Find books that interest your little reader! 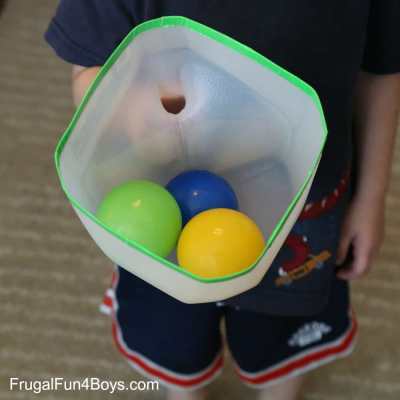 Milk Jug Catch Basketball Game is one out of 10 ball games mentioned in Frugal Fun For Boys and Girls . This game is very simple. You just need to cut and use half of the milk juice to catch balls. I am sure kids will enjoy the game. Basketball Freeze Dace is also one of 9 basketball games from The Spruce . The basic idea of this game is similar with the freeze game. Kids need to dribble the ball along with the music, but they have to freeze once the music stops. You can get 8 other basketball games in this post. Follow The Leader from Component Playgrounds helps to practice the shooting and dribbling technique to give players confidence in playing more challenging arena. Players will need to follow some actions from a chosen leader with the basketball. He or she can combine dribble, clapping, dancing, jumping, and any basketball action. Learning Numbers with Water Ballon Basketball from Fun Learning For Kids requires 6 or more water balloon written number 1 to 6 with marker and a dice. Kids need to throw a balloon with the correct number shown by the dice that they throw. Fingertip Basketball Drill for Kids from Live Strong teaches kindergartners to handle the ball well so they are able to hold onto it during play. Kids have a turn to pass the ball low down and high up. Firing Squad: Basketball Games Other than HORSE has 11 fun basketball games from Active Kids altogether which can be played with flexible numbers of players. Fun Shooting Basketball Games post from Healthyfuly has 4 games to practice the basketball techniques: passing, shooting, defensive, and dribbling or rebounding. Using games, basketball techniques are easier to practice. 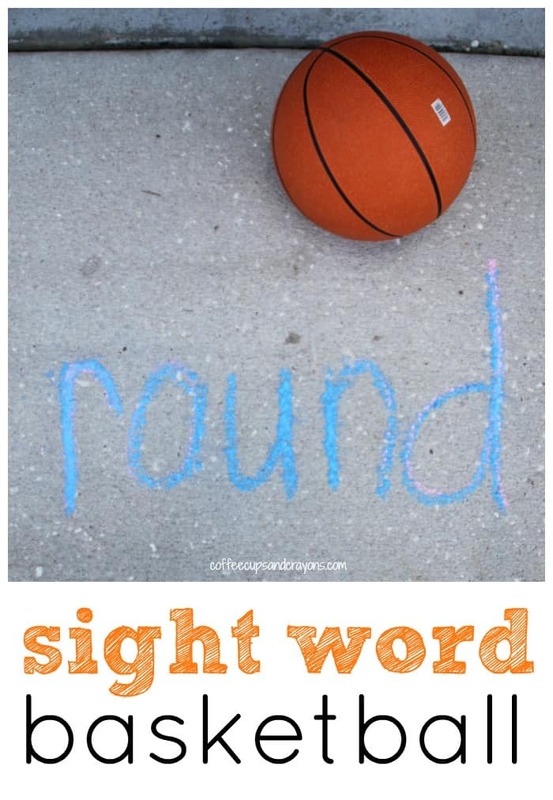 Sight Word Basketball Activity from Coffee Cups and Crayons combines literacy and basketball practice at the same time. Some sight words are written on the ground. Kids need to dribble or do some movement with the ball while the coach calls the word. Hula Hoop Basketball Game from Mama Smiles is very creative to encourage kids throwing the ball through the hula hoop set up vertically. It is also challenging to give kids targets of throwing in certain heights using the hula hoop. Defense Mirrors: Basketball Drills and Games from Basketball For Coaches is great for smaller groups of player. Players will need to stand side by side on 2 lines and mimic their partner movement. It will be great to practice the defensive reaction. Play Dough Basketball Throwing Practice from Mama Ot will allow little people practice throwing with play dough ball with less risk of destruction. I am sure that toddlers will love this game. Around The World from Basketball Games For Kids can be played by small kids or adults. The game needs endurance and accuracy. Several players will throw a ball to the ring from several points around the ring. 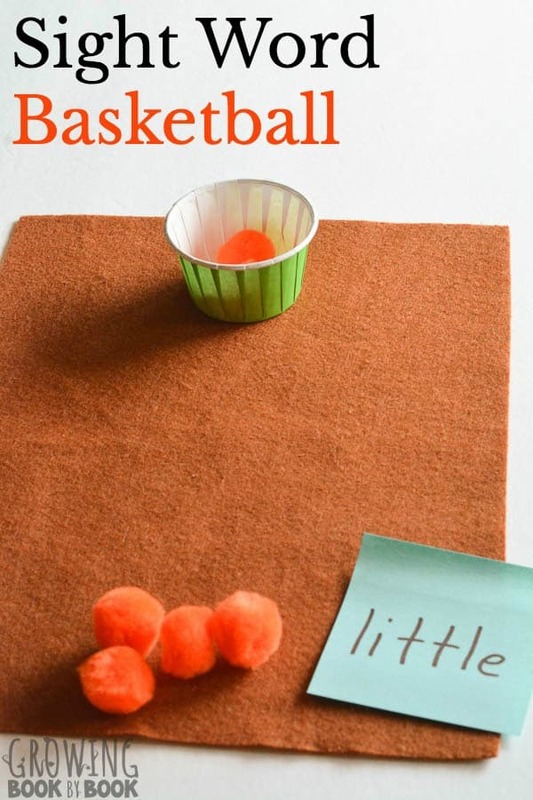 Sight Word Basketball Practice from Growing Book By Book is a very simple basketball game for kids. It doesn’t need a basketball court or a real ball that will make them sweaty. we only need some pom poms to throw on a target when kids can read sight words written on construction paper. DIY Ping Pong Basketball Game from 504 Main is a fun craft to make a mini basketball rings with plastic cups. Kids can play with ping pong balls thrown to the mini rings. Basketball Bead Toss from How Stuff Works has some instruction to make a basketball ring out of egg carton with a ball made out of beads tied with a string on the ring pole. With the tied bead, player will need to try putting the bead into the small ring. Mini Basketball Hoop Craft and Game from Tippytoe Crafts is a simple and cool craft to make a mini basketball ring with a jello pudding cup, a straw for the pole, and egg carton for the base. Knock Out Basketball Game from Ginger Casa has some variations of game that make the technique practice more various. The practice won’t be boring anymore. Practice dribble? Then, Dribble Tag from Church Sports Outreach will be one out of 4 games for dribble practice you can use with children to practice the basic techniques. Basketball is not about game only. Kids also can train their logic by doing STEM Design Process: Building a Basketball Hoop from J Daniel 4’s Mom. 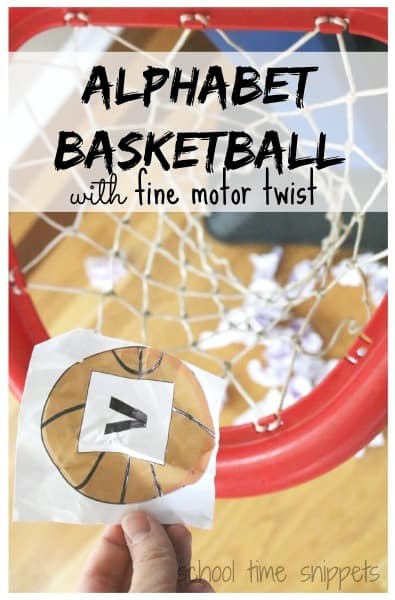 With some simple materials and process, kids can have some fun designing a basketball hoop.